This topic has 14 replies, 6 voices, and was last updated 1 year, 8 months ago by wildbill. The first precision rifle class, the Long Range Marksmanship Course (LRMC-1), is running at VTC Romney 3 – 4 September. You can find class details HERE, including equipment details. The class utilizes the range facilities at the VTC Romney, including the new 1000 yard ‘Three Ridges’ Precision Rifle Range. The class is taught by John (Cadre Page) who is an operationally deployed army sniper, awarded the Bronze Star (Valor) for actions in Afghanistan. He has extensive experience and expertise in small unit tactics, reconnaissance, CQM/CQB, and specializes in long range and unconventional marksmanship. He has been selected to represent two Division Marksmanship Teams nationally and internationally. Had 3 signups for this so far. 1 paid, the other 2 from guys who earned a free spot thru volunteer work. In the work up to this, there appeared to be a lot of pent up interest. So what is the status? Are you out there planning to sign up? At the end of the day, after the backbreaking tree work and expenditure on steel, if guys are not interested, at least the SF snipers will use it. I’m still up in the air, it’s more a matter of timing for me. I honestly wasn’t expecting the course to be so soon. I’m in the process of putting together the gear now. This should be a great course if we can generate the interest necessary to make it rational to put on. 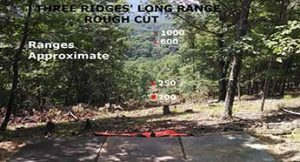 Don’t let long range scare you, you do not need a 4000.00 custom rifle for this kind of range. A decent model 700, savage model 10 or anything of that quality should do you justice out to the ranges we will be shooting. Caliber wise anything .243 and higher is preferred but not necessary. 5.56 guys you want to take your AR-15 out to it’s and your own maximum capability, I urge you to come take the course. If you’ve got a decent set-up I can pretty much guarantee you will be hitting steel at 600 on day two. 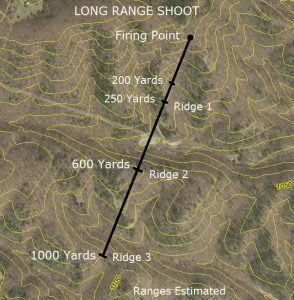 If you’ve never shot long range, this course will be a perfect introduction. If you’re a long range guru, the ranges at MVT will be a fresh wake up from 95% of the ranges you typically shoot at and add a variety of complex variables that will push your math and ability even further. I can’t wait and hope to see you all there in September! The instructor bio link is not active on the course listing page. It also might be helpful to highlight John’s background more prominently on the course page as that is where new people are most likely to land and his experience is clearly a major selling point of the class. I would also love to do this, but I didn’t expect it so soon. This class is happening in September, however many people actually book. As long as I can pay John, it is happening. BFYTW. At least the effort will be worth it, becasue the SF guys want the range and will use is. All the more reason to pivot more to SF. Is there a middle finger smiley face? Everything is ordered, just received scope yesterday. Seekins 6.5CM zeroed and ready to learn! Awesome, can’t wait for this course. I just ran my personal rifle out to a 1000m on Thursday and was able to hold a 3 round group at 3.25″ inches… the rest of my groups were in the 5-7″ range…. Also just got the magnetospeed chronograph for the course and it’s working flawlessly. This will let us true your guns up and get workable data generated so we’re not throwing away ammo once we get on the big boy range. Last thing – get in while you can if this ends up being a smaller class that means one thing and one thing only…. more one on one time with the instructor with more overall range time for you. Hell yeah man that should be pretty nasty out there, how large were your zero groups? Groups were about .75 at 100 yds with 147gr which it didn’t seem to like as much as the 120gr. Re-zeroing tomorrow with the 140 ELD Match I bought for the class plus had to remount scope to install a bubble level. Is a level something you recommend? Absolutely levels are awesome, especially when shooting from uneven terrain or alternate firing positions. I run a Hours ASLI, that helps you compute angle fire as well. To be honest I’ve only ever really needed the angle portion on a few rare occasions. It may be nice on the new MVT range (i’ll find out next weekend), but a basic level set up is what’s most helpful. I also just ordered 200rds of 140ELD match because that’s what my rifle grouped best with, I was a bit disappointed to hear from one of my friends that he had a standard deviation of 42fps on a box he chronographed a couple weeks back, and that was with removing the high and low shot from the measurement. Now that I’ve got the magnetospeed I’ll be testing ammo every chance I get to see what the deviations are. I run a Hours ASLI, that helps you compute angle fire as well. That answered two questions I had but considering I live in Western Carolina with similar terrain to MTC I should have know these were items that I would need especially the ASLI if my range finder that computes angles/distance went down; thanks John looking forward to the class.